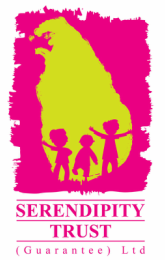 The Serendipity Trust is proud to work closely with the Department of Education (Southern Province) to present this annual training programme that is a direct response to the current trends and emerging issues faced by teachers in Sri Lanka. The Serendipity Trust is proud of having a series of successful Teacher Training sessions, over the last 6 months. It is estimated that over 800 Government School teachers from 8 Education Zones (Southern Province) have participated in our workshops. They were all well received. Each is activity based, to use in the classroom to improve the Spoken English of students. On 29th and 30th November we were invited to attend the first International Research Symposium of the National College of Education at Kalutara. This was an extremely published and important occasion, the first of it’s kind in Sri Lanka with Education Ministers, TV cameras and journalist in tow. The students from kalutara showed off their dancing, musical and speech presentations with polished skills during the welcome celebration. International speakers presented research on social cohesion in Sri Lanka and other Asian countries. The Serendipity Trust was asked to conduct a Workshop on learning strategies which included practical advice for a variety of skills to support learning in the classroom. It was a most interactive and thought provoking workshop. In 2017-2018 we were invited to by the Pasduarnrata National College of Education to continue our training sessions with the primary and Pre- service English teachers. This was, again, an invaluable experience for the Serendipity Trust trainers as these students have yet to begin their teaching careers. At Pasdunrata College, they have had the benefit of innovative and forward thinking ideas from their lecturers, to promote more interactive teaching. Serendipity Trust Trainers worked primarily with 150 English teachers over 2 days. The workshop “Take One Picture” introduced them to the idea of using one resource across the entire curriculum of listening, speaking, reading and writing. The students were highly motivated and enthusiastic the Serendipity Trust was invited back to provide further Workshops for the Symposium. The following day another workshops was held for 50 primary teachers introducing them to songs and activities to support to the new oral curriculum. The Serendipity Trust had designed and had printed a pack of 26 cards to represent each initial phonic sound in the English alphabet. Games and activities were introduced for use of the pack in the classroom to promote better pronunciation, grammatical rules and sentence structure. Two CDs, one with 20 stories from around the world, and the second with 36 songs were also donated to them. 626 English teachers were excited and pleased to receive them and promised to make good use of them in the classroom. 172 primary teachers were the recipients of two classroom activity packs, “The Colour Game” and “How are you feeling?” to promote spoken English in a fun and active way. The two day programme in each region, allowed space for secondary teachers to attend, and their feedback was positive and encouraging. We are grateful to the Principal of Pasdunrata College of Education for inviting us back to conduct more Training workshops and for the further invitation to facilitate and attend the first international Symposium. The latter was an amazing success, wonderful publicity for the College and reflected the good work of the committed staff. Thanks to the GLF for their invitation to conduct training workshops at Amrasooriya Teacher Training College, Unawatuna where 100 student teachers benefited from The Serendipity Trust programme, and we look forward to developing and broadening our association with Training Colleges throughout Sri Lanka. This possibility would open up and strengthen the link between North and South and The Serendipity Trust would be proud to facilitate any action that would reduce communication barriers.